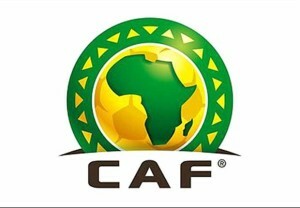 The Confederation of African Football (CAF) has picked former 1st Vice President of Nigeria Football Federation, Mazi Amanze Uchegbulam and seasoned sports journalist, Morakinyo Abodunrin as part of its strong official delegation to the forthcoming Total U17 Africa Cup of Nations (Gabon 2017) to be held 14-28 May. The high-calibre delegation to the 12th continental cadet competition is led by newly-elected CAF President Mr. Ahmad from Madagascar along with a member of the Executive Committee, Mr. Kwesi Nyantakyi from Ghana, and also includes 1988 African Player of the Year, Kalusha Bwalya who would preside over the organising committee. In a letter dated April 20th and signed by CAF’s Acting Secretary General, Essam, Uchegbulam is designated as the vice-president of the of the Appeal Board while Abodunrin, the media officer of Nigeria U17 team (Golden Eaglets), would serve in the media as the English Editor for the competition. Meanwhile, fast-rising arbiter Ferdinand Anietie Udoh would be the only Nigerian referee at the event, and this would be his second successive attendance at the U17 AFCON after he made his debut in Niger Republic in 2015. NFF President Amaju Pinnick, a member of the CAF Executive Committee and also member of the influential Organizing Committee for FIFA Competitions, described the various appointments as a welcome development, saying he was confident the trio would bring their experience to bear towards a successful event in Gabon.